Lot 86 C/I Oval Diesel Worksplate. 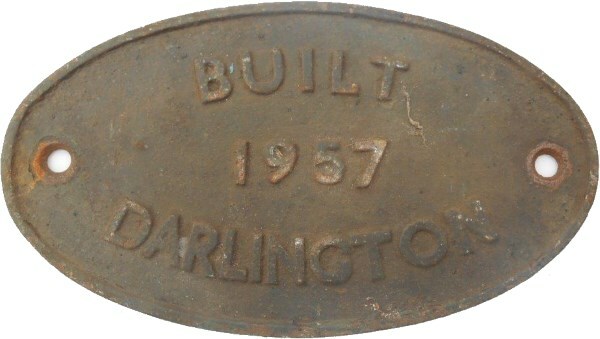 "BUILT 1957 DARLINGTON". As carried by a 08 - D3466 becoming 08 381. Ex Loco condition.